Normally I don’t mention names or report every little thing that happens to me on my blog. But when people try to manipulate me and start to lie to me, actually it’s probably in other people’s interest that I blog about it. I was contacted on 13-Feb-2014 by Anubhav Kumar (SENIOR SEO Account Manager) who works for DigitasLBI. DigitasLBI have obviously been employed by Etihad Airways to do their SEO for them. He gave me an address and phone number in Dubai. He very politely introduced himself, and went on to say he (or his automated system) had found my article – https://doncharisma.org/2014/02/09/do-journalists-tell-the-truth/ in which I’d in passing mentioned Etihad Airways. His request is/was that I link to flights.etihad.com, which is basically Etihad’s buy page – search for a flight then buy. Not their homepage etihad.com. He then goes on to make a vague mention of future partnership between DigitasLBI and myself, on “future projects” with Etihad Airways. Now for those of you that don’t understand the significance of a link in SEO terms, a link is an endorsement, I’m basically saying “Etihad Flights Good” by linking to them, I’m passing some of my SEO juice to Etihad. Well at least that’s how Google sees it. It forms part of Google’s equation when deciding who’s result to show when someone puts for instance “Etihad flight” in the Google search box. An endorsement is a form of advertising, and advertising is normally paid for. So let me get this straight you want me to link to Etihad’s buy page, and you’re offering NOTHING in return ? Fraid so dear readers – DigitalLBI and Etihad complete FREE-LOADERS. Now I’ve been doing SEO for some time. This is the first time I’ve heard anyone say that a reciprocal link is “Black Hat SEO”. For those who don’t know what black hat SEO is – basically it encompasses underhand and backdoor ways of doing SEO, that are “frowned” upon by Google. The strategies are numerous, google “Black Hat SEO” yourself if you want to know more. As far as I can ascertain Etihad don’t link to anyone else’s blog from flights.etihad.com. One reciprocal link is not black hat SEO, period. So actually Anubhav Kumar if you want to say “No” then say it. Don’t lie to me and make up an excuse which isn’t true. HOWEVER … thank you Anubhav Kumar/DigitasLBI/Etihad Airways for giving me something to blog about. And NO I don’t give out free links to commercial organisations that aren’t prepared to give me something back. How rude, how cheeky and actually not the behaviour I’d expect from a representative of Etihad Airways, whom I’d previously had high regard for. So, look dear readers I’m passing this information on, so that you may avoid supporting these freeloaders. Perhaps my message will spread wide enough so they will learn to pay for things the same as the rest of us have to. Your message for other bloggers is one that I wish was talked about more often! Thank you for that. I hope that by including the text (not actually a link) to the buy page in your post doesn’t also give them what they want. I have to admit, I don’t fully understand the intricacies of Google searches and links. Guess that future partnerships line was a lot of bull if they weren’t prepared to do anything for you in return. Even greedy Microsoft was willing to pay VLoggers some cash for making videos saying the Xbone is good. I’m a newer blogger so I was shocked how many companies (including some larger known ones) contact me and want me to write about them for free! Some even give me a deadline to post my free article lol. I don’t do those kinds of posts, not even for a fee but I’m tempted to send back my “rates”– 10 billion dollars. LOL, well there is a compliment in that if they are trying to get you to write then you must be doing something right ? I’m a poet and I didn’t know it ! Communicating the values of a company through a blog, forums or whatsoever it’s called “buzz”. Sometimes buzzers are paid, sometimes you just write something about a certain product/service for free on your blog or other platforms because in YHO it’s worth for. In this case I would be glad to been contacted by a such big company with such a strong brand but they didn’t behave the way they should have. I could understand if it was a high-end small company in need of advertising, but even in that case, there must be a sort of payment or something in return (for me sometimes it’s a wine case or a few nights in hotel). This it’s absolutely unkind and in a certain sense it’s a tiny little spot on their brilliant reputation. But if they’d do this with all the people buzzing about them, how much this little spot could spread? LOL, no completely unrelated ! He works for the company that Etihad has subcontracted to do their SEO. I like Etihad too had reasonably excellent experiences, apart from when I lost my phone, but I can’t really blame them for that. I need to take care of my own possessions, not their responsibility. How can such a big company do something as small as that? Sad, really. Well technically it’s their subcontractor. I suspect they’ve farmed it out to save money, and put a degree of separation between themselves and people like me … unfortunately being treated in a cheap way doesn’t make me happy, so they get what they get …. Yes I did think of that angle … a lady who’s obviously worked in advertising has posted a detailed comment, and filled in a lot of gaps in my knowledge … these guys should have offered an incentive, it usual and normal … a case of wine of something … still some people have to learn the hard way, and freeloaders need to be taught to pay their way … so teach I do … yoda though I am not ! Yes agreed, but obviously people and businesses get full of themselves and no longer think rationally or fairly. There are a lot of bloggers out there with a following like you who make money from selling advertizing space on their blogs. I am sure you already know this… perhaps this was the universe saying Yes you can! Personally, I would rather sell advertizing space and then be free to write about whatever i wanted. That is if one wanted to make money from their blog. Yes i love the photo also, but did not realize you took it yourself. Ah no the duck photo isn’t mine, I’d love to have taken that myself ! Not sure I’d want to write a blog that I couldn’t write what I wanted, but given the right amount of pay most things are possible … but I’m certainly not cheap ! I just found a new blog to follow!! Good stuff. Thanks! Very welcome … and yes duck picture was the best I could find, there wasn’t much that visually represented free-loaders ! Dear Don, thank you for sharing your bad experience on this. I’ll take your advice to heart. People always want something for nothing, don’t they? Good for you on calling them out! Often yes, doesn’t mean to say everyone is a scammer … however it’s prudent to watch one’s own back … felt like calling them out, so I did ! A rather back handed compliment to you, and nothing that would ever come my way (I don’t have the following on my blog to generate such interest,) so polish your buttons anyway. Glad you are smart enough not to go along with this garbage, and I suspect that your description of said adventure will save someone else a lot of grief. Thanks for always looking out for us. And those ducks – you should pay them! Great photo for this post Don. Thanks for your warning. I receive a lot of SEO offers, but use to delete them. I do understand you Don. But I must admid, that I have met so many scammers at the internet in the last 12 years, which did learn me to ignore a lot. Maybe also the good ones. You took a chance Don, of course. I’m sorry. When I read your post a music video immediately popped into my head by Dire Straits called “Money for Nothin”. MTV is how I associate it. Cheeky, indeed! A commercial enterprise seeking free advertising…HA! I am very careful to not write personal names on my blog, although I knew when i wrote that poem on Mr Gates, that it might get googled and i didnt mind that he saw his name leading to my blog, admiring his foundation and other philanthropic deeds. I do philanthropic work myself and though I dont seek recognition I want to laud those who do. I never linked to Etihad, so he was asking for a link that never existed and was never intended. That in itself is a bit shady SEO wise, but that’s another story. AND DEFINATELY NO an outbound link from my blog to Etihad I am giving away a fraction of my “Google juice”. My point is that the least they could have done is linked back, offered me a free upgrade or even maybe a free gift on the plane. But obtaining free advertising like this, without offering any value back is actually verging on a scam. Stick to your principals, Don. Good job. 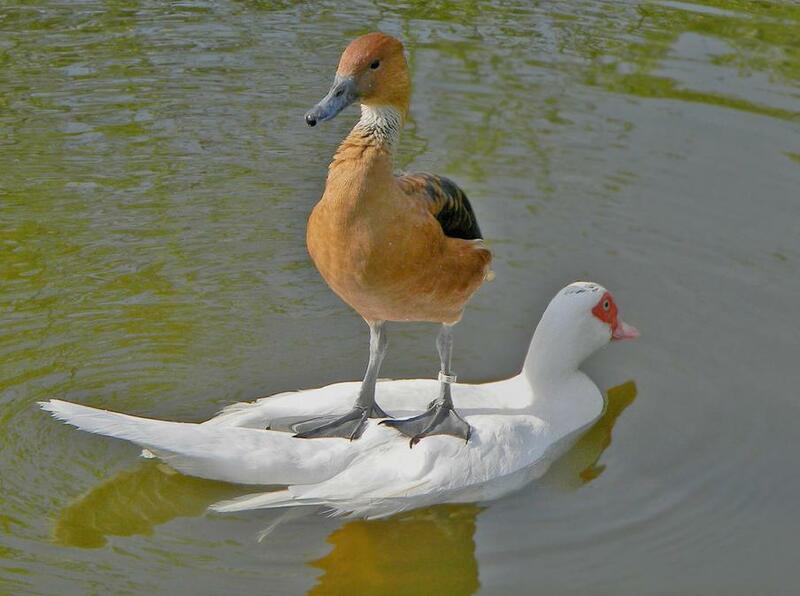 I love the duck taking a ride. Very appropriate photo for your post.